The need to remove a (legacy) Exchange server using ADSIEdit could have several reasons. The method using ADSIEdit to remove an Exchange server should only be used carefully. 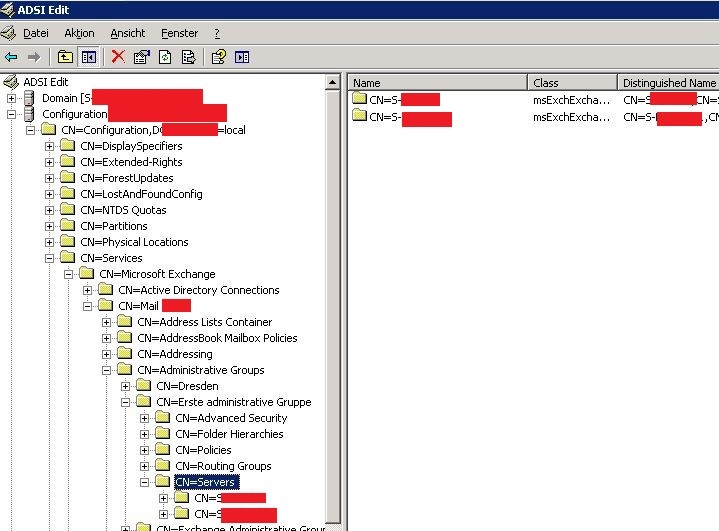 Within the container CN=Servers you can see you installed legacy Exchange servers. By right-click and hit delete you can remove the objects. You can also remove single objects of a server like public folder databases. Refer to this article to see how to remove public folders in the different versions of Exchange. In some cases you are forced to hard-remove public folders from Exchange. You can use ADSI Edit to delete these folders. Now you can delete the PF-Database you want to get rid off.